Doctors should use newer medications rather than aspirin to treat a common heart problem, say new guidelines for the NHS in England and Wales. The National Institute of Health and Care Excellence says blood-thinning drugs like warfarin are better for those with atrial fibrillation, which can increase a person's risk of stroke. Experts say most doctors are already doing this. The advice will affect hundreds of thousands of patients. Atrial fibrillation (AF), which causes an irregular heartbeat, is the most common heart rhythm problem, affecting up to 800,000 people - roughly one in 100 - in the UK. In AF, the heart cannot work as well as it should and blood clots can form, which, in turn, increases the risk of a stroke. Aspirin has been used for years to help protect patients from strokes, but mounting evidence suggests the drug's benefits are too small compared with other treatments. The guidelines acknowledge this - it is the first time they will have been updated since they were originally issued in 2006. The advice to switch from aspirin to a blood-thinning drug such as warfarin instead should prevent thousands of strokes. Newer anticoagulants other than warfarin may be most suitable as they do not require regular monitoring, says NICE. Experts say if aspirin is to be stopped, it should be stopped gradually and only under the advice of a doctor. Prof Peter Weissberg, medical director at the British Heart Foundation, said: "Strokes caused by atrial fibrillation are both common and preventable but only if the abnormal heart rhythm is identified in the first place and if effective drugs are given to prevent blood-clot development. "The revised NICE guidance reflects accumulating evidence that warfarin and the newer anticoagulants are much more effective than aspirin at preventing strokes. "This does not mean that aspirin is not important and effective at preventing heart attacks and strokes in other circumstances. Patients who are unclear on whether or not they should continue to take aspirin should speak to their doctor." 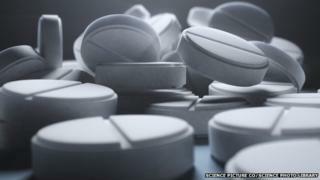 Prof Peter Elwood, an expert at Cardiff University, warned it could be unsafe to suddenly stop taking aspirin. "If aspirin is to be stopped, it should be stopped gradually," he said. Do I have atrial fibrillation (AF)? Andrew Marr: Why do healthy people have strokes?